Christmas came early for the Lunch Buddies! A Secret Santa came by and left two big bags of games and materials. 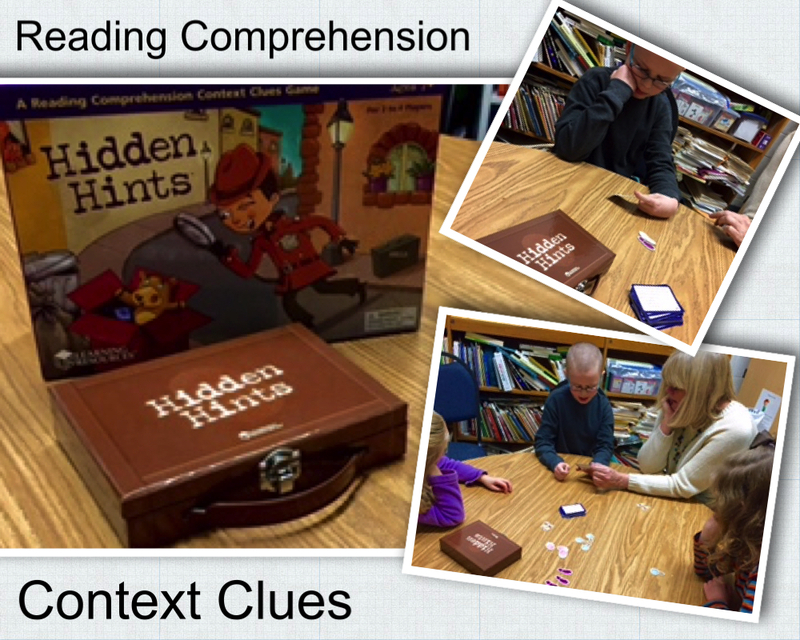 Included in the bag of goodies was Hidden Hints™, a reading comprehension game from Learning Resources. This game challenges students to figure out what words mean by using clues in the text around them.